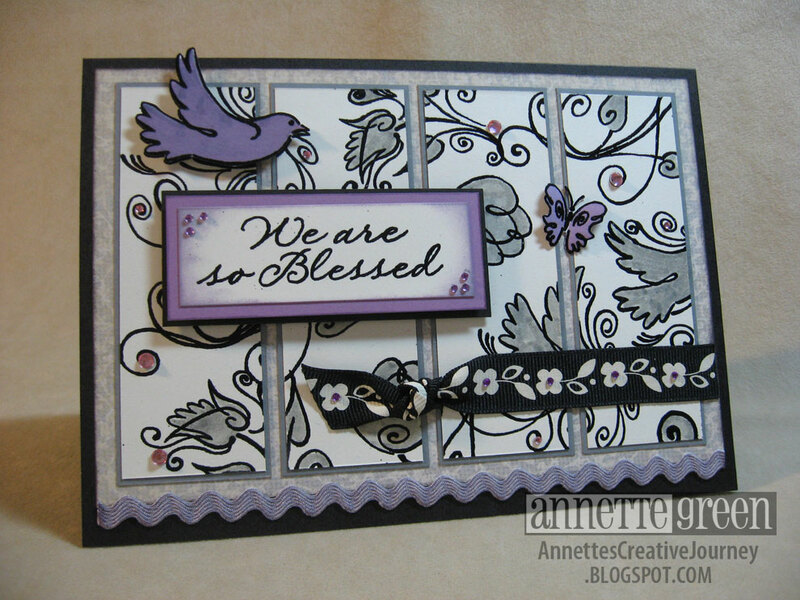 April's Stamp of the Month is called "Blessed" and if you need inspiration for this whimsical set, you've come to the right place. 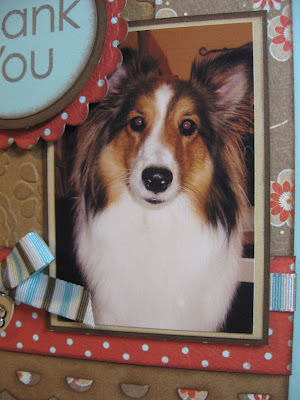 Not only have I designed two completely different cards from this set, over 40 other Close To My Heart consultants are participating in the Blog Hop, so be sure to check 'em out. If you're already hopping, you came here from Chris Shouse's blog. Since I'm posting early, I haven't had a chance to see her creation, but I'm looking forward to it! Make sure to keep scrolling through my post to the end to see where to go next in the hop. 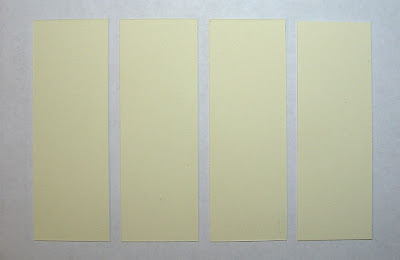 An image of this month's complete stamp set is shown in the righthand column of my blog page. At first glance, I knew it was obviously a more feminine style. So I went in that direction for my first design. 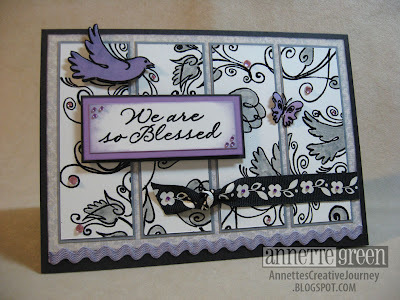 I selected a mix of Petal, Colonial White, and Black for this card, adding some purple sparkle gems here and there. You'll have to click on the photo to see those more closely. 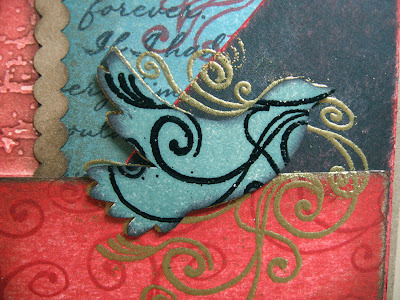 Lots of embossing with Black embossing powder and I used my Grey Wool marker to color in the images here and there. For the ricrac, I colored over our Colonial White ricrac with my Petal marker. 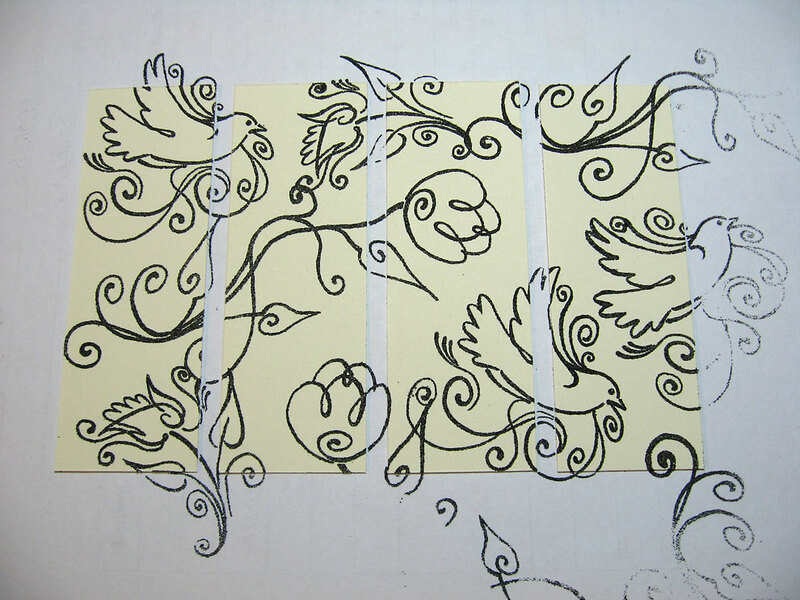 I saw a sketch in a magazine using panels of four like this, so that was my inspiration. 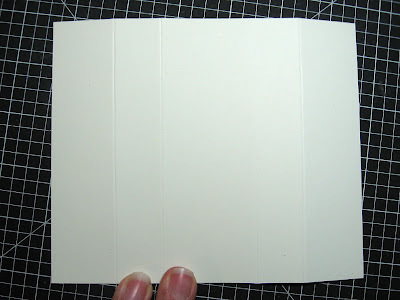 I lightly tacked down four equal sized panels to a sheet of scrap paper to hold them in position for the stamping and embossing. 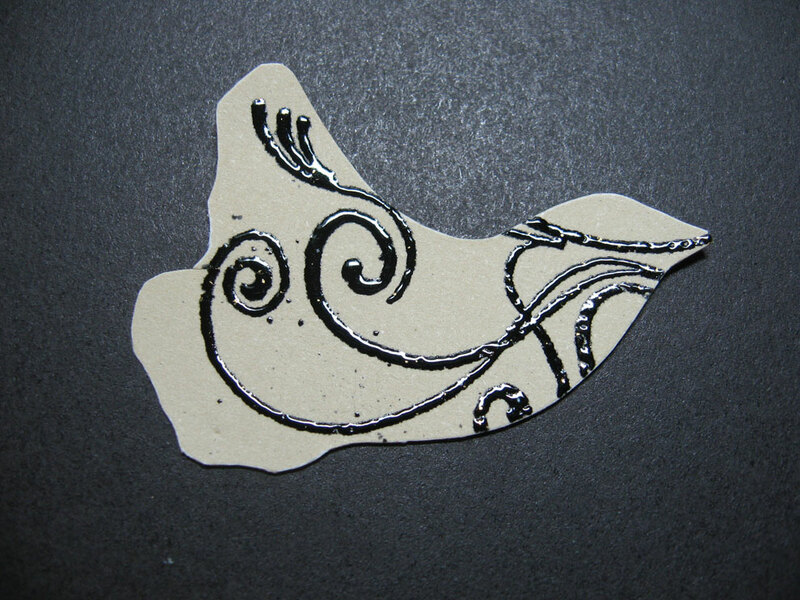 Then I went to town stamping with Versamark and then embossing with Black powder, then I peeled them up after they cooled and adhered them to the card. For my second design, I channeled my inner Tim Holtz and went totally the other direction. 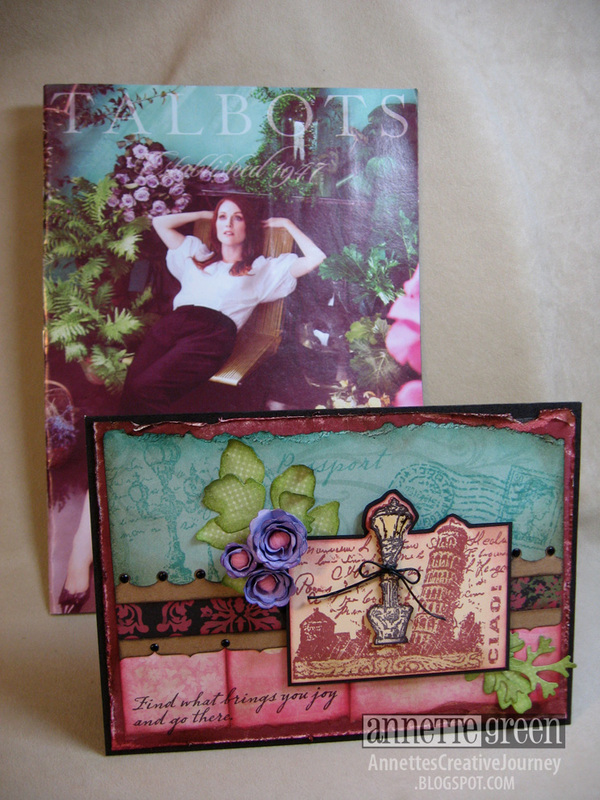 I really wanted to show the versatility of this stamp set and make a more masculine card. On this card I used Cranberry, Black and Twilight on a Kraft card stock base, along with some of my favorite new embellishments - Kraft Borders. I love these self sticky border strips. They are so quick and easy! 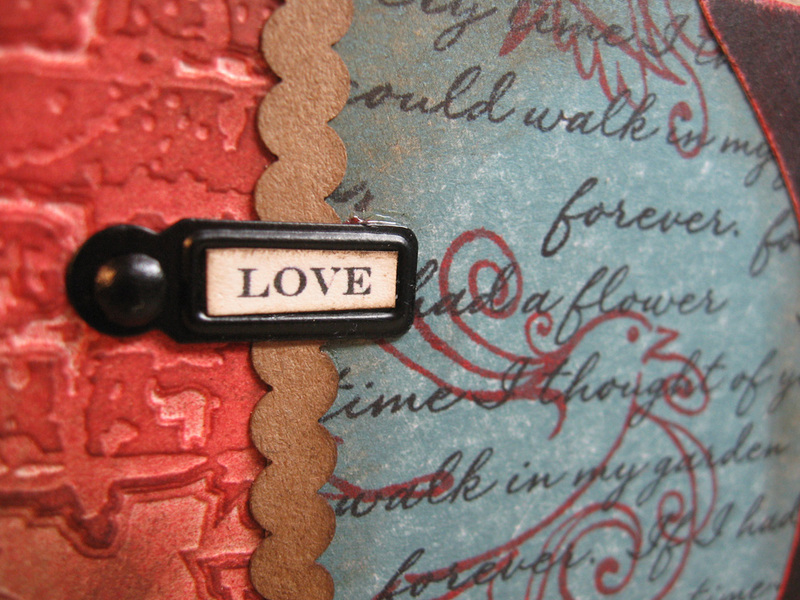 With a little help from my brick wall texture fade (Tim Holtz/Sizzix) and some gold embossing powder, the card definitely came together in a masculine style. This card design is based on "Sentimental Wave" in the Wishes book. 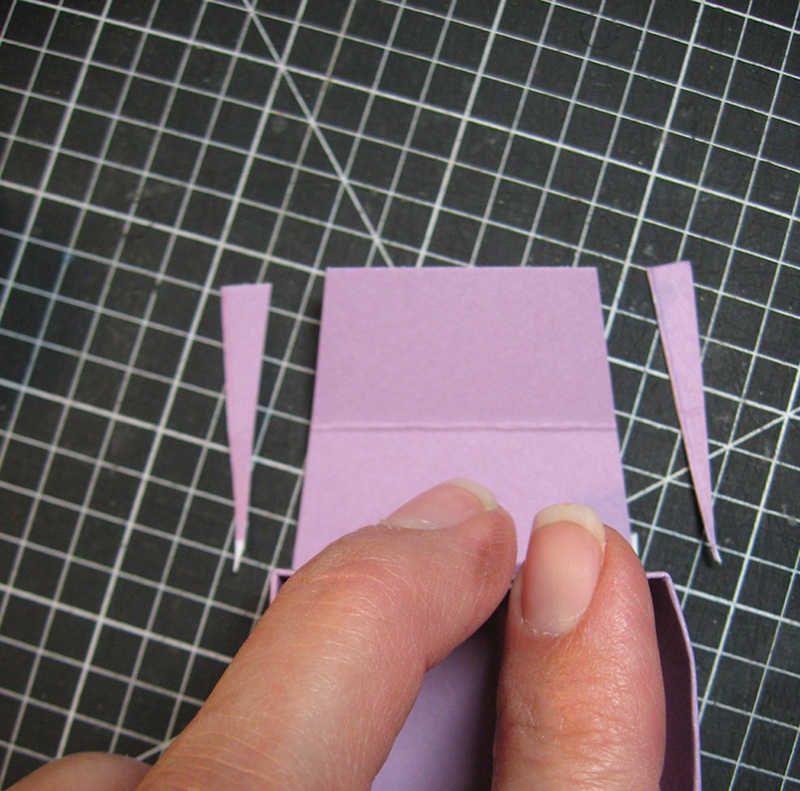 Let me show you the technique I used to make the bird in the center of the card. 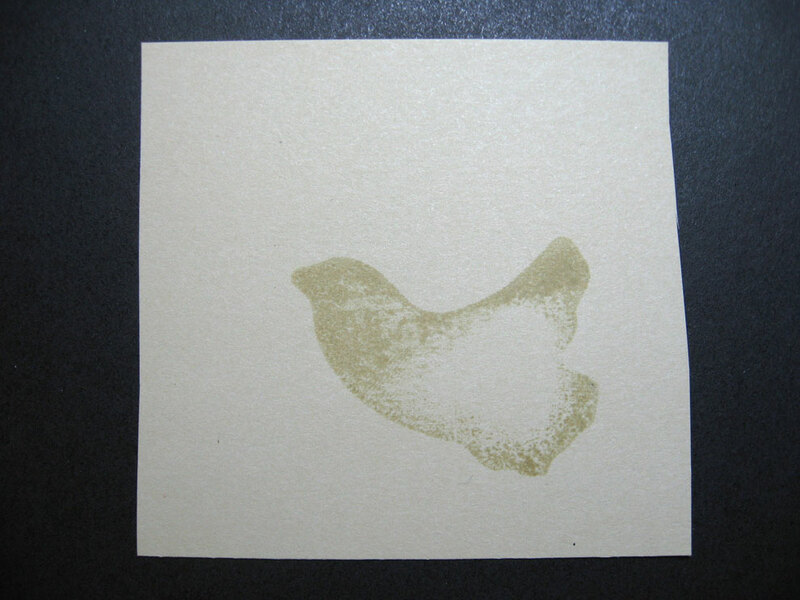 Then I stamped the image again, this time with the right side of the stamp using Twilight ink. I cut this out again, close to the edge. I'll get back to that Twilight bird in a minute. After assembling the card, I held my breath and stamped this bird image right onto all the layers, hoping that I'd get a good impression. 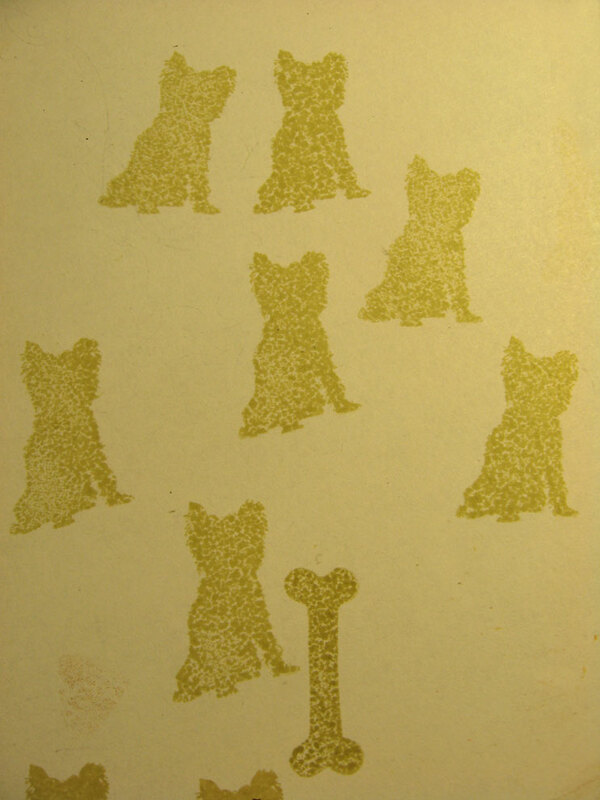 I embossed with Gold and was happy with how it turned out. 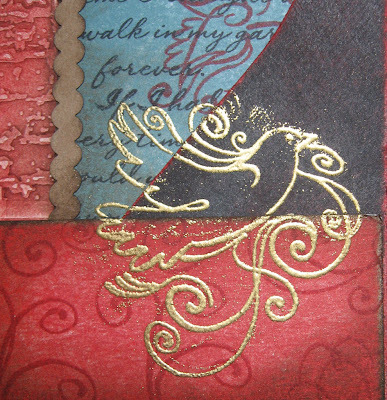 A little extra gold remnants here and there only added to the distressed look of the card. After putting some foam tape on the back of my Twilight bird, I placed him over the gold image. As I completed this card, I decided I would give it to my hubby for our upcoming anniversary, so I added a little LOVE just for him. Thanks for "hopping by". Now keep it up and go see what Sarita Schraeder has created. I can't wait! We all know about the devastation in Japan. Maybe you've even help in some way already. 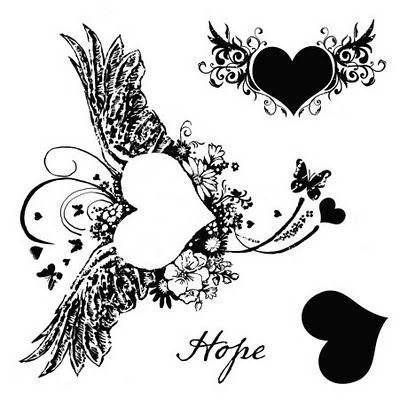 I'm proud to say that Close To My Heart is doing their part by offering an exclusive "Hope for Japan" stamp set from which 100% of the profits from the sale of this set goes toward relief efforts in Japan by way of the American Red Cross. You can get yours now through April 30th and you are not limited to just one. 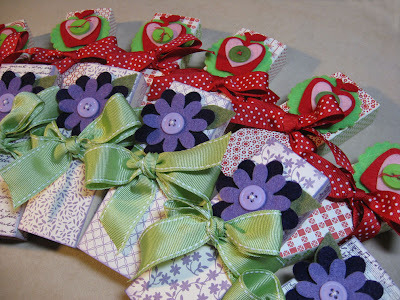 Order as many as you like. Give them away as gifts! What a simple concept, and based on the outcome of the Haiti relief efforts last year, this is sure to be another huge success. So how do you get your Hope for Japan exclusive stamp set and help out those in need? Just go to your CTMH consultant's website or to mine At this link: A1118. Shipping and tax will, of course, apply as with all orders. I can't wait to get mine. (I will be ordering many). 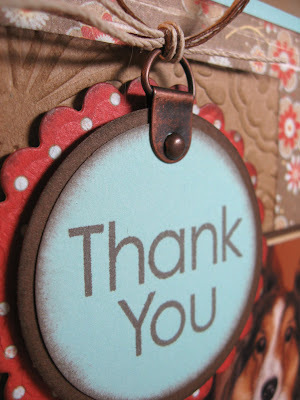 But more importantly to know I have helped in some small way. I'm going to save you money today. I typically don't rip on other companies' products outside of Close To My Heart, unless of course I feel like I'm doing YOU a disservice by not doing so. And today is that day. You'll have to scroll down to see what I'm talking about. 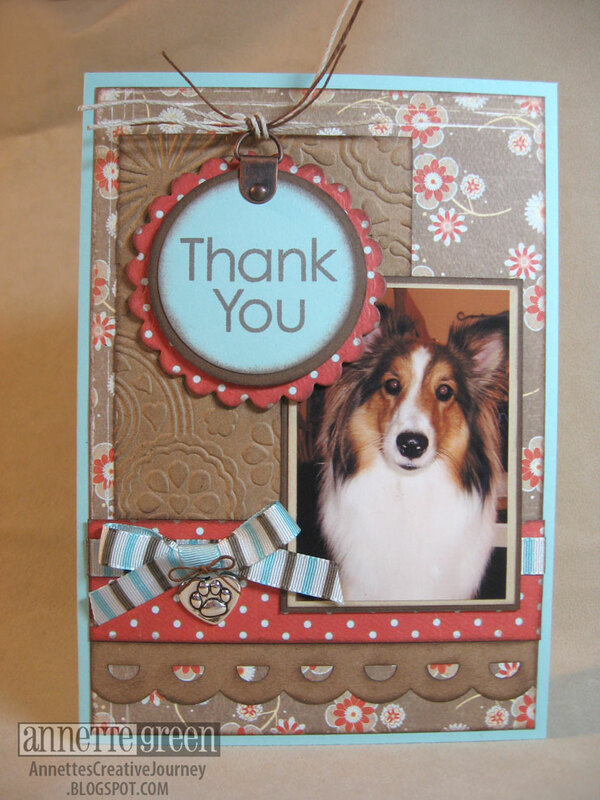 But first, I wanted to share with you a Thank You card I made for the pet-sitters who will be taking care of our Sheltie, Suki for a few days. 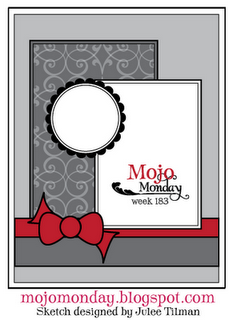 The card inspiration started with this week's Mojo Monday sketch #183. 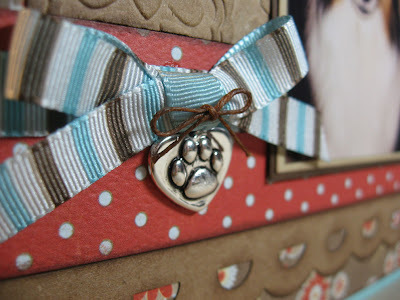 I really wanted to incorporate some dog stamping in here somewhere, but didn't have the right stamp set for it. I envisioned a background of silhouetted stamped dogs rather than the pattern paper you see here. But alas, that didn't work out. You'll see in a minute. For my card, I used some older papers from Crate Paper in my stash, plus some Kraft card stock and borders from CTMH. And, of course, a photo of my Suki girl. 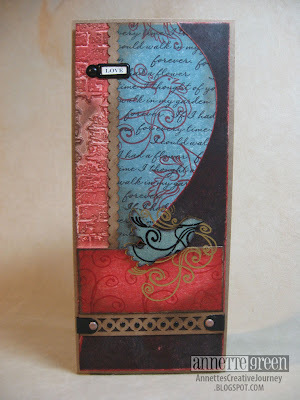 The blue card stock is Sky and my inking and stamping was done with Chocolate inks. I think one of my favorite accents of all time are the photo hangers we carry. I looped some twine and Chocolate Waxy Flax through the ring for decoration. 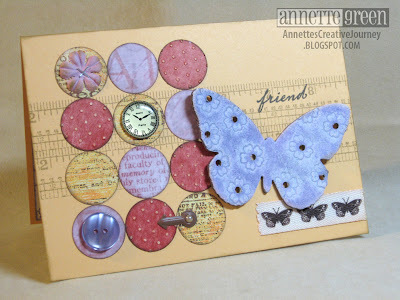 You might see the embossing with the Cuttlebug die on the Kraft in the background. 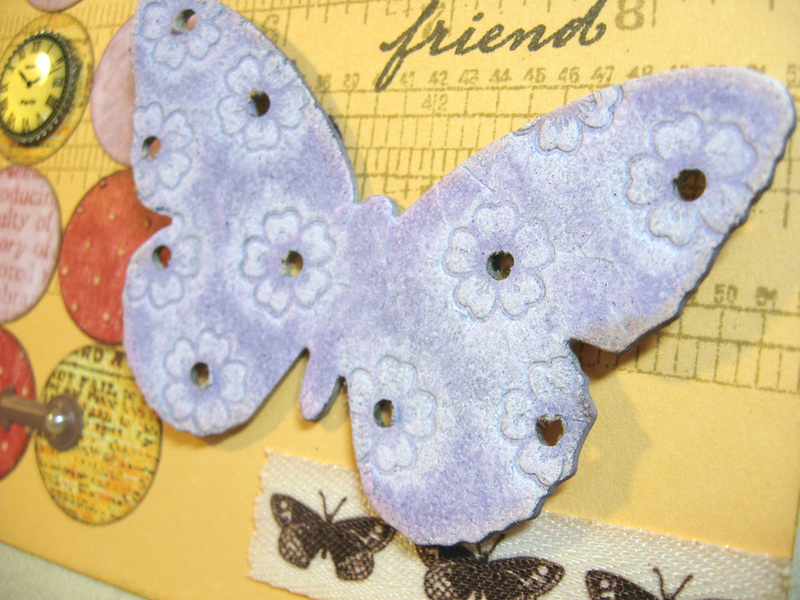 I've had this ribbon by American Crafts, like, forever and it finally served a good purpose. 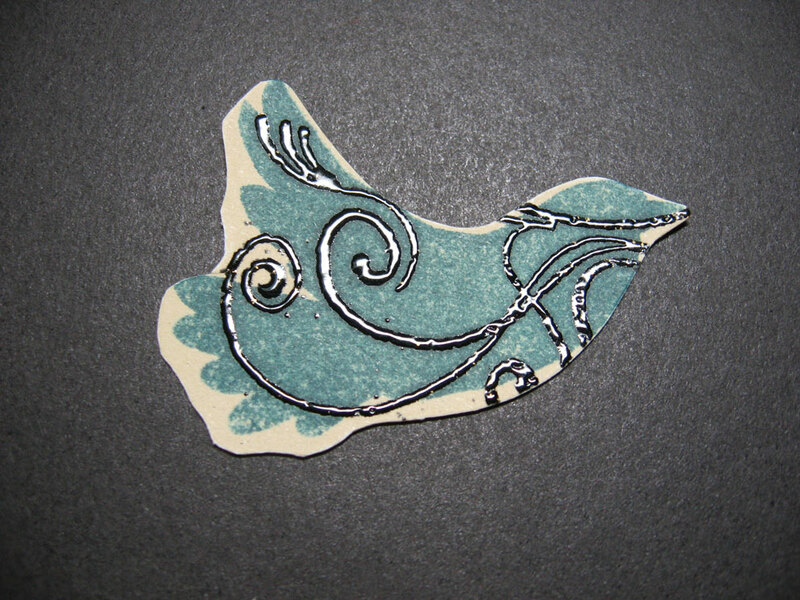 The little charm I found in the jewelry dept. of Hobby Lobby and affixed it with glue and tied if off with some Chocolate Waxy Flax. There's my girl! So pretty, isn't she? When people tell me "Oh she's SO pretty!" I never know whether to thank them or what. I can't exactly take credit for her looks, can I? I just say Thank You anyway. Now on to my rant. 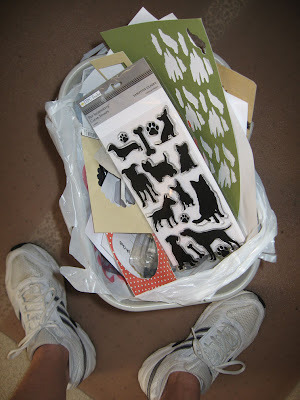 While in Hobby Lobby, I browsed the stamps for doggie stuff. 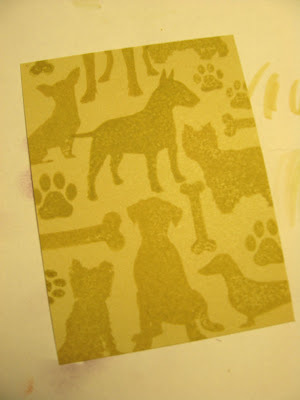 (Like I said, I had hoped to stamp a background of dogs.) When I saw this set, I was SO excited and snatched it right up! 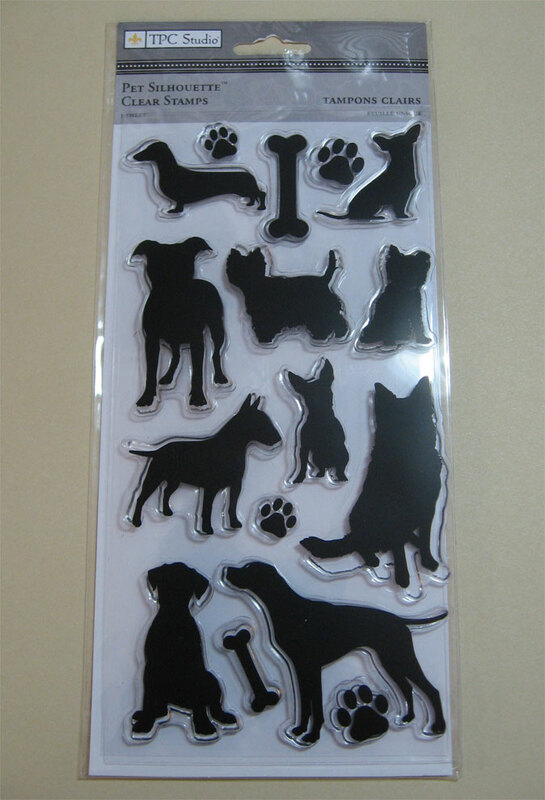 Well, let me tell you, not all clear stamps are created equal. It's not because I'm a CTMH Consultant, really, because I've been known to purchase several other companies clear stamps before and I've been perfectly happy. These were just NOT good. I started stamping and immediately noticed that the ink started to pool on the stamp. No worries, I thought, I'll just "season" the stamp like we do with CTMH stamps. 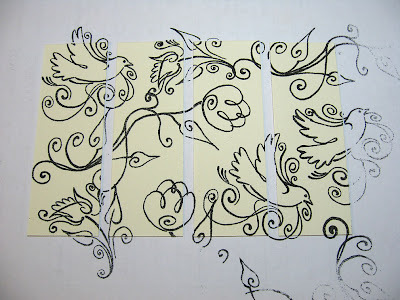 Ink 'em up a couple times, stamp on scrap, clean 'em and then stamp again. But NO. 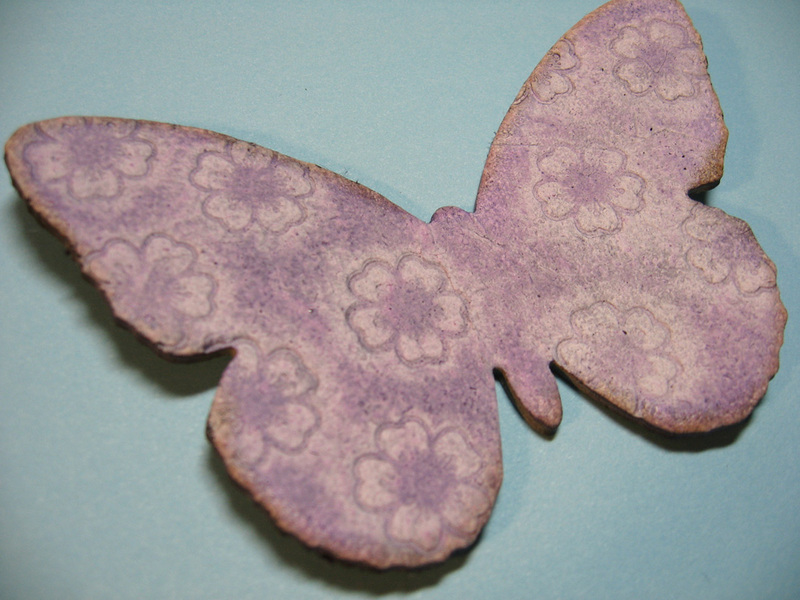 No matter what I did with these stamps, the ink still pooled really badly. 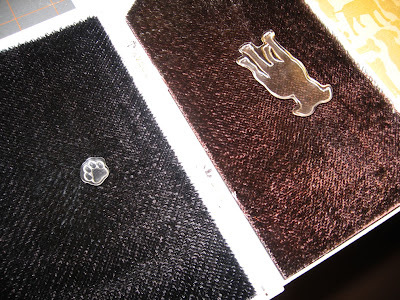 I flipped over the package and read about the stamps. Maybe there was some secret method with this brand. You can image my shock when the Helpful Tips said, "If your ink is 'beading', try gently sanding the image with a nail file to reduce the slickness of the surface." Okay, so I sanded. But it didn't help much. I sanded every darn stamp in the set and kept trying. This is the best I came up with. Terrible! And to make matters worse, when I went to clean them on my double scrubber, they fell right off the block! Aghhh! 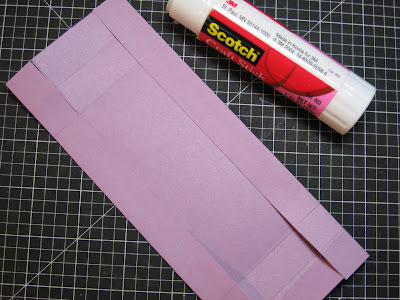 Again, under the Helpful Tips it actually says, "If you find that getting a stamp to stick to the acrylic block is difficult, apply a small piece of double-sided tape to the stamp then mount on the block." If I hadn't trashed my receipt so quickly, I would have taken them back. Instead, they ended up here. What a waste. Good thing they were on sale this week. May they rest in peace. If you have purchased this brand before and had good luck, I would love to know your secret. Meanwhile, I think I'll stick with what I know works best. You'll never have to sand a Close To My Heart clear stamp - EVER - and you most certainly will not have to TAPE them to your blocks. Egad! Enjoy your Wednesday and thank you for letting me rant. I walked into my local Michael's store the other day and discovered this gorgeous Melody Ross display full of mysterious looking metal things and a pretty rubber mallet, and all kinds of glorious chipboard. 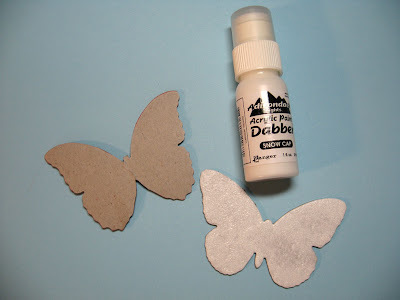 Since chipboard and distressing are two of my favorite things in paper crafting, I had to try some of this stuff! 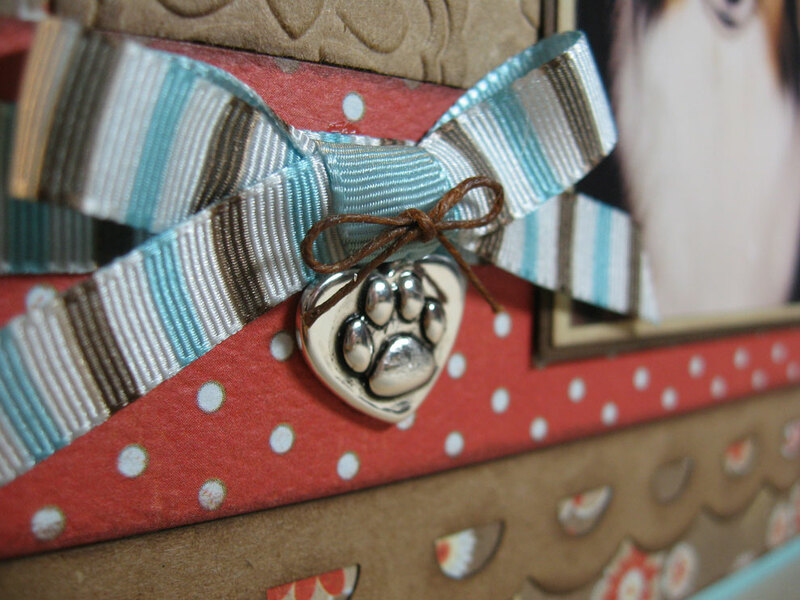 I think I need to watch a video on how to use it properly, but basically the metal "dies" - if you will - are used to make an imprint in chipboard, metal and probably many more materials. The pretty rubber mallet is used to smash those suckers into said material. So I gave it a try. I experimented a lot here and found that the gray chipboard makes almost every color I tried to ink over it turn muddy looking. So I started over and used some white paint over the top and let it dry. Now I have a nice clean canvas, so to speak. After swirling some Dusty Concord ink (Ranger) over the top, I then hammered away with my husband's 20 year-old nasty-looking rubber mallet. 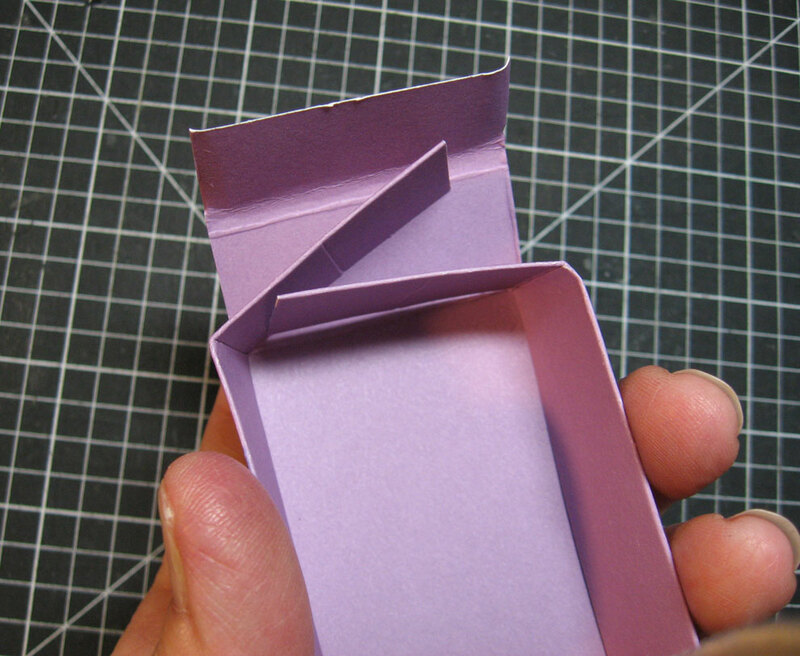 This particular die is a small flower. I was a little disappointed in the loss of detail here. 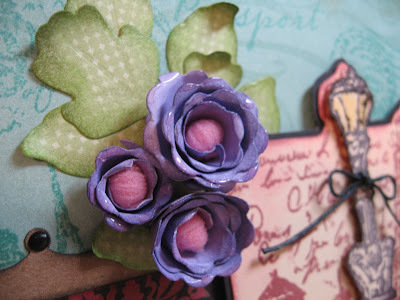 The die has more texture in the center of the flowers, but it just didn't transfer. I had to be careful not to ink over this too much after the impressions were made, because I found this made the image even less defined. I felt like it still needed something though. I like how the hammering help to expose the white underneath a little. Gives some dimension. I started to pierce small holes for brads to go in the flower centers, but I didn't end up liking that, although I did like the way the holes looked, but they were just a little too small. So I grabbed the beloved Crop-a-dile and punched some larger holes in the centers. Interesting. Using a 1-inch circle punch, I made some circles and then dug through my stash of embellishments to accent here and there. Here's another look at the card. 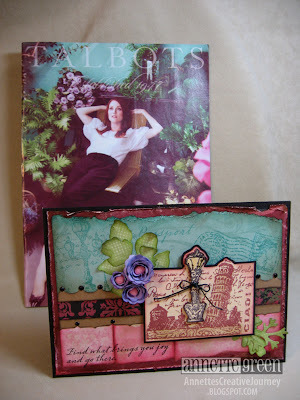 I'm still on the fence with these Melody Ross dies, but I won't give up yet. The line of chipboard is really nice and I'd like to experiment with metal the next time I use the dies. Thanks for stopping by today! Have a good one. 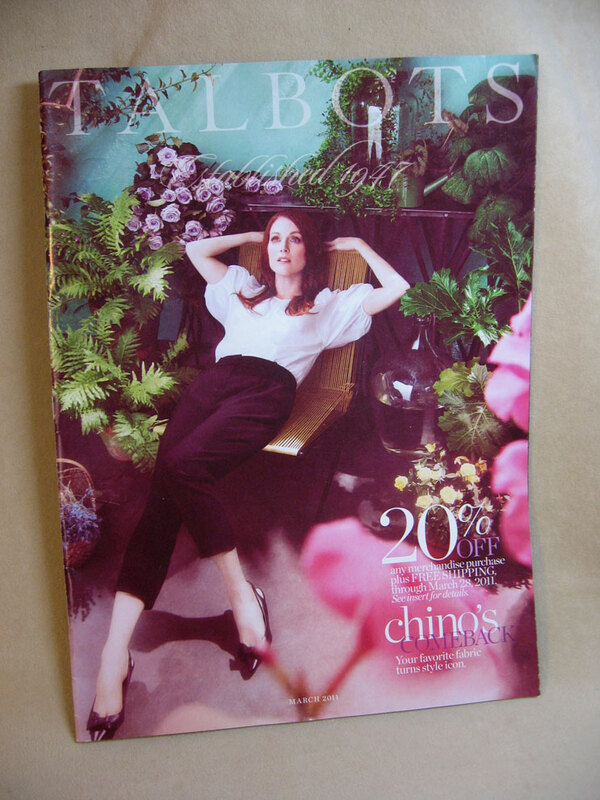 I received this gorgeous Talbots catalog over a month ago and have been saving it because I just knew the color combination would make a beautiful card or scrapbook layout. 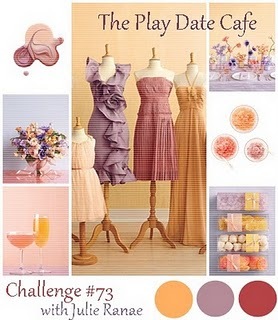 I've told you before how I see the world in Close To My Heart colors, so immediately I saw Juniper, Pear, Amethyst, Cotton Candy, and Vineyard Berry. 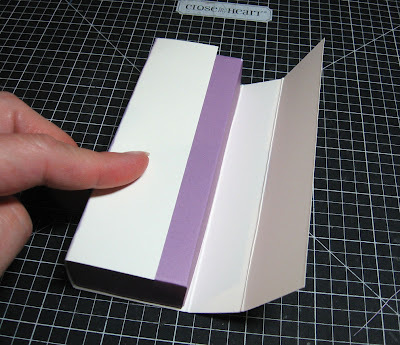 I grabbed all those card stock colors and splayed them out in front of me, and WOW, they looked fabulous together! I pulled from my stash of papers and used the back side (Juniper) of Wings and (Cotton Candy) of Sweetheart. 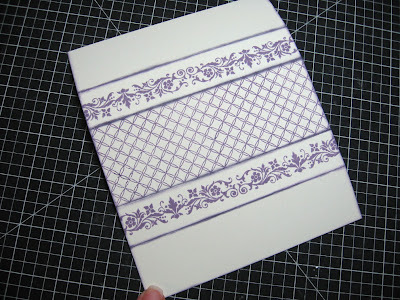 I love our new Kraft Borders and I used two different styles here and added some Black Bitty Brads. 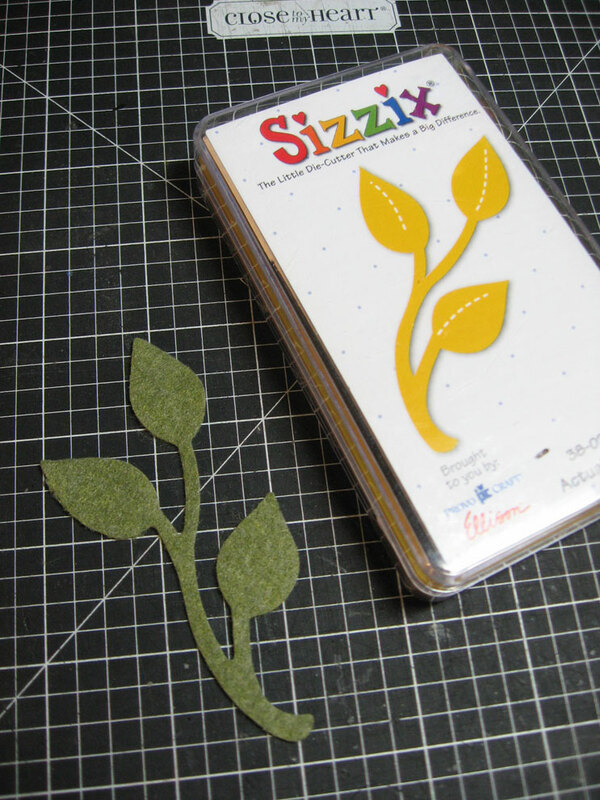 For the foliage cut-outs, I again pulled from the Wings paper using the back side (Pear) and ran it through my Vagabond using the new Foliage die by Spellbinders. 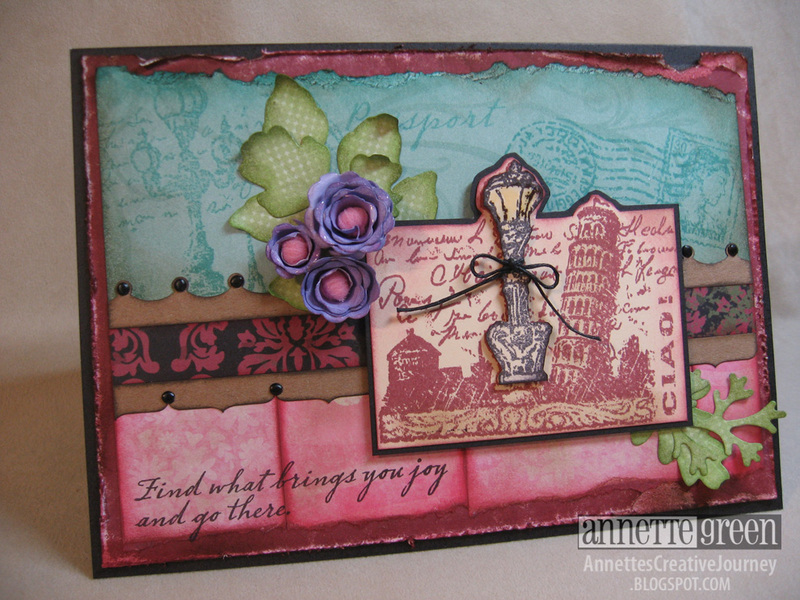 The stamp set is called "Ciao" and it's full of vintage loveliness. 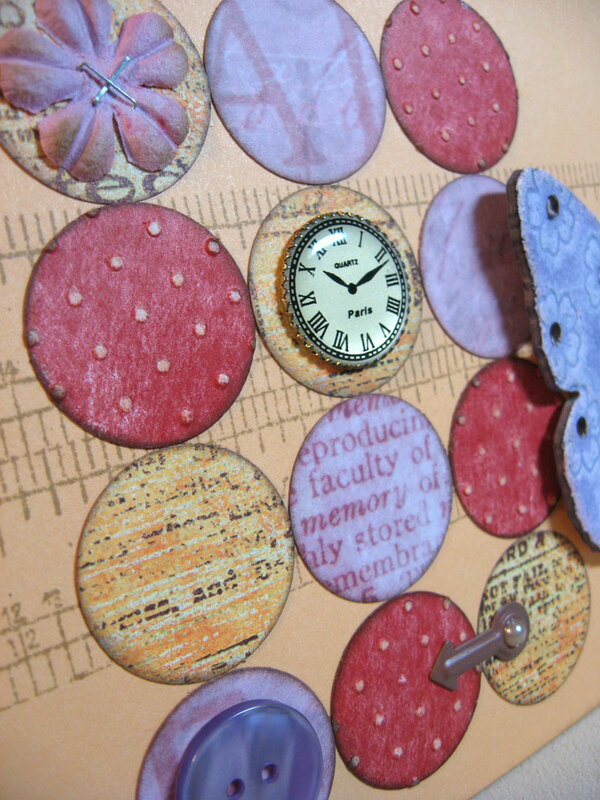 The stamping in the Juniper background is also from this set. I love the vintage postcard and cancellation stamps. 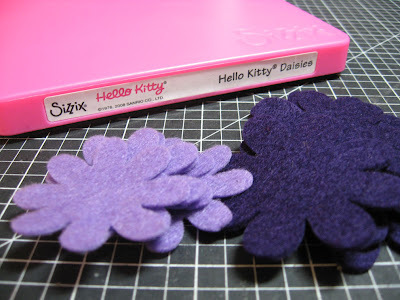 Finally, those cute little flowers are cut from Amethyst card stock using my small scallop Fiskars scissors. 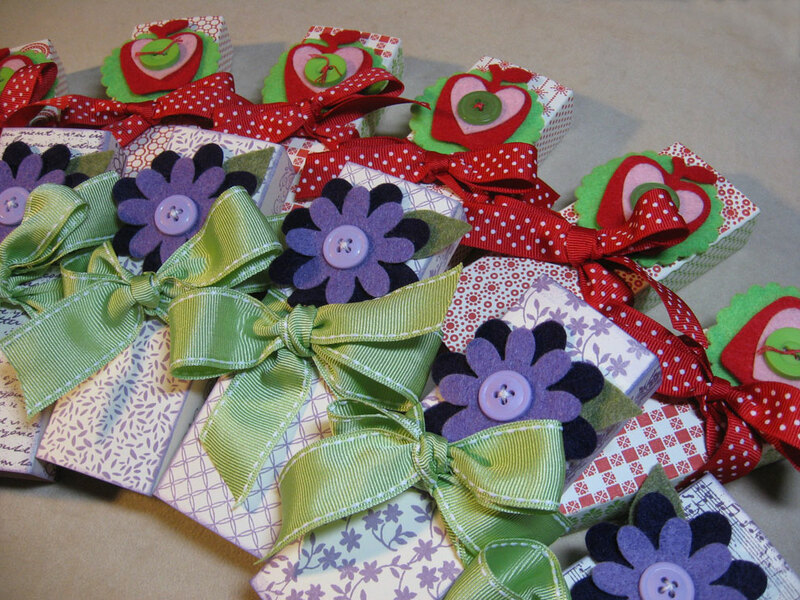 I cut a spiral circle and wound it up to create these, finishing them off by popping in a pom-pom ball from CTMH's Cotton Candy Pom-Pom ribbon. You might notice the wet look on the edges of the flowers. That's a little Liquid Glass, one of my favorite products because of its versatility. It's a glue, a glossy accent, and more! I also used Liquid Glass on the lamp post over the yellow glow of light. It makes it look more like glass. Thanks for stopping by today. I hope you have a happy Monday! 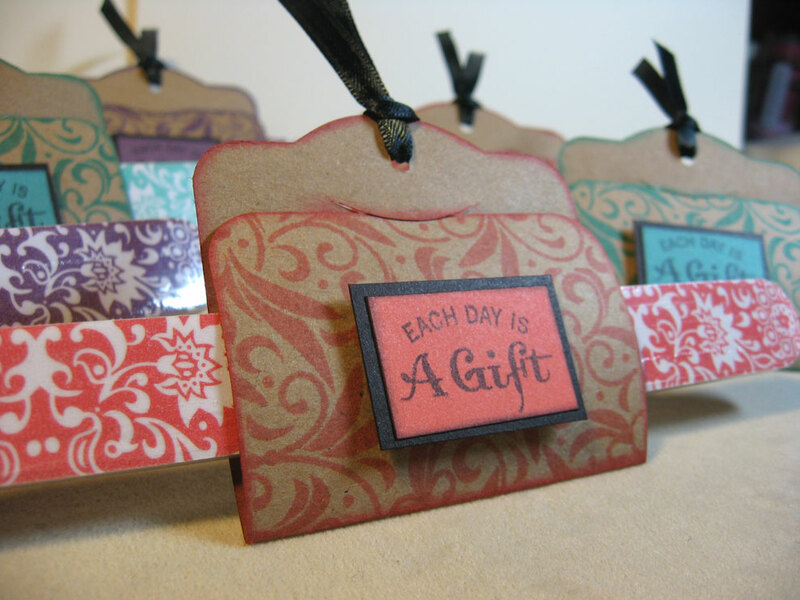 It's Frugal Friday again. 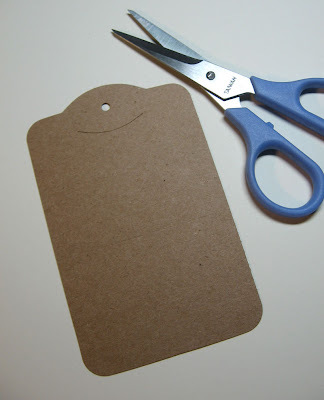 If you haven't visited on a Friday before, Frugal Friday is my time to create something very inexpensive or at no cost, using items from home, found items or things from the dollar store. 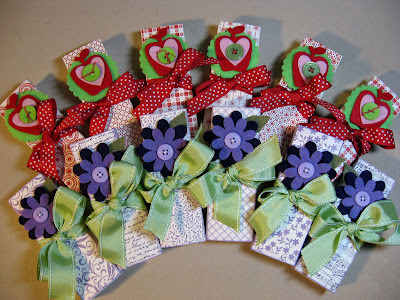 I tend to make little gifty items for my club girls as a thank you for their membership and support. I picked up these three-packs at my local Target store for $1.99. 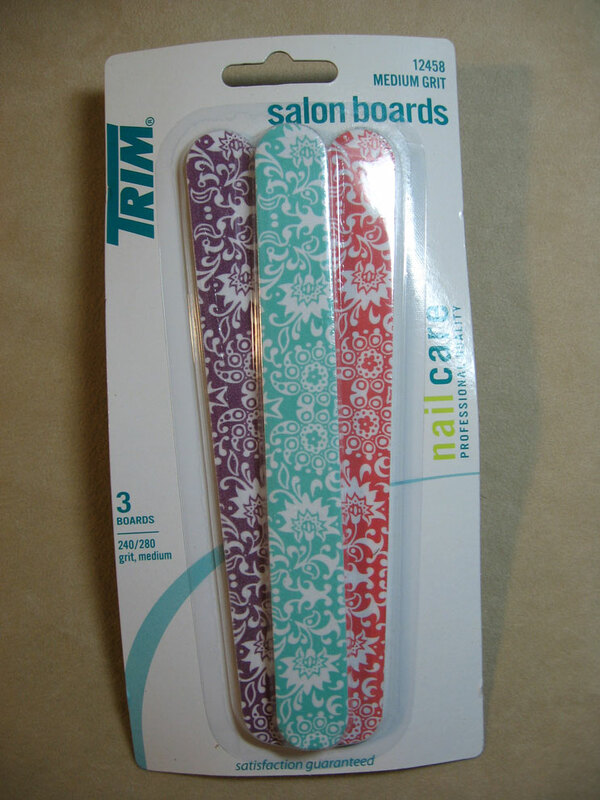 Each emery board is individually wrapped in shrink plastic which keeps them sanitary when packaging them up. 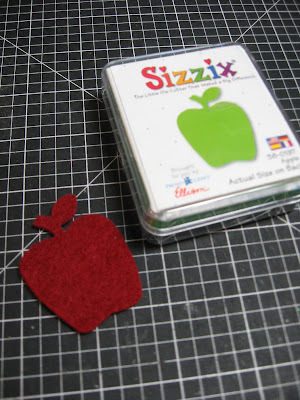 I used my Sizzix Bigz Two Tags die to create this tag from Kraft cardstock. It has the hole, a curved slit and a score to fold up the tag (see next photo). 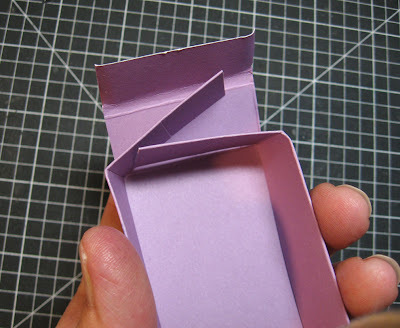 If you don't have this die, no worries, you can use any tag shape and just fold it up 3/4 of the way. The slit can be mimicked using a craft knife at a slight curve. 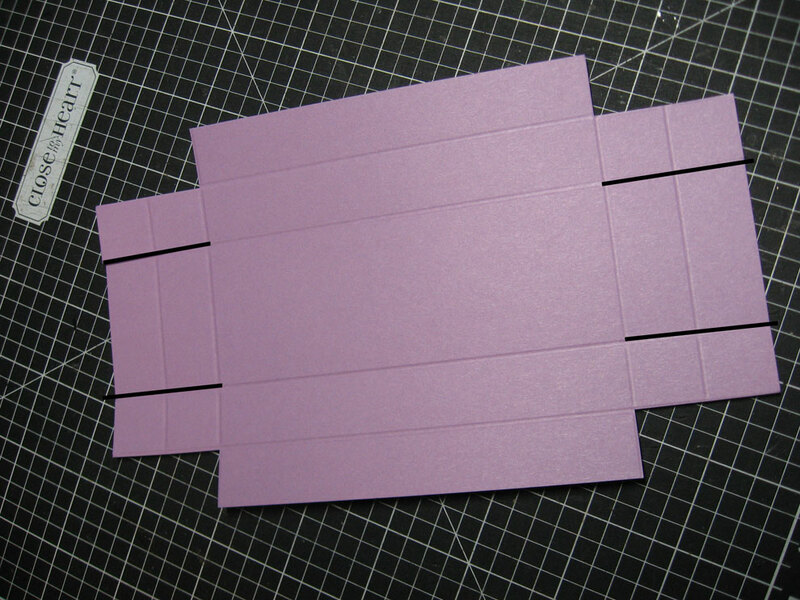 Just make sure the curve is positioned so that the flap fits underneath it slightly. You'll see what I mean in a minute. 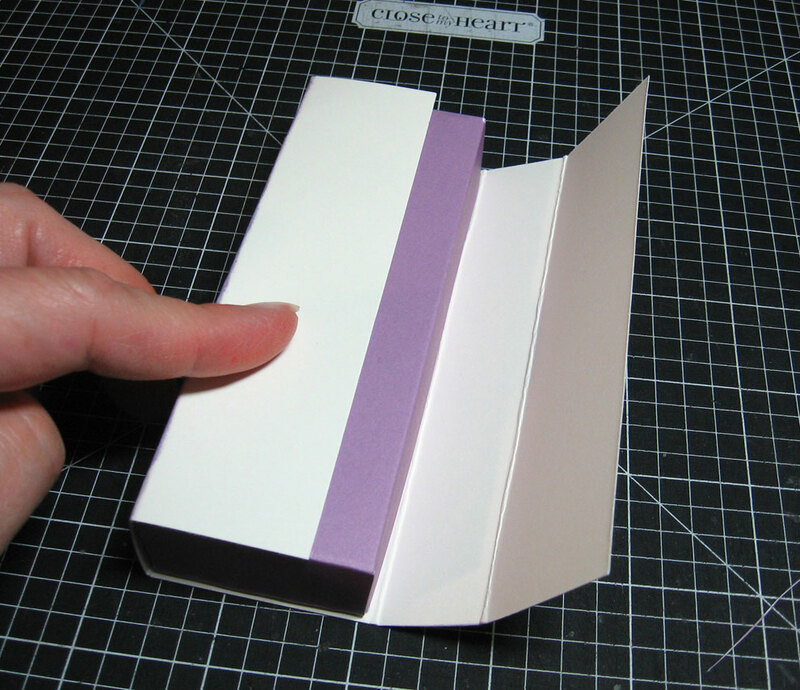 Here's a look at the fold. 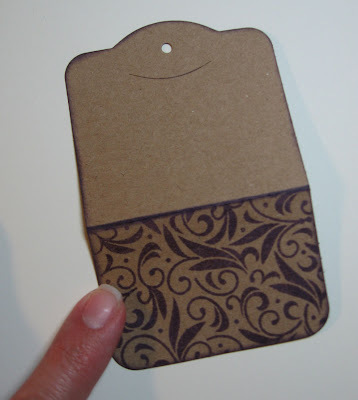 I stamped the bottom part of the tag which will fold up creating a pocket. 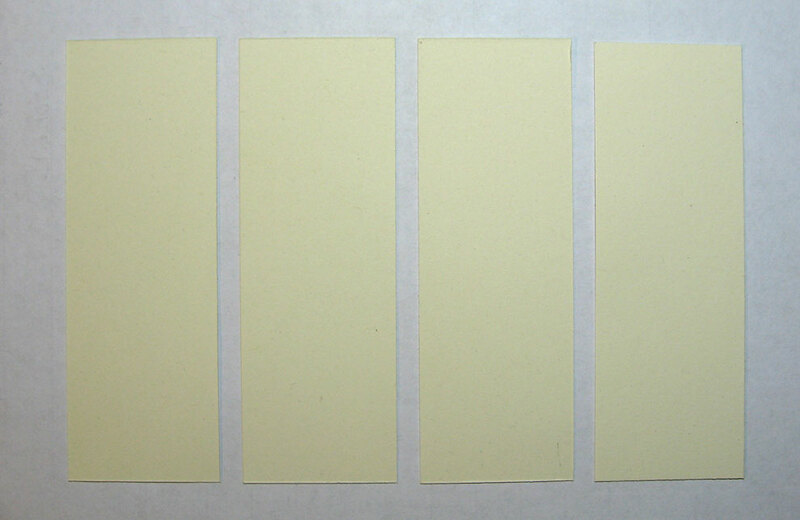 I chose inks that matched as close as possible to the colors of the emery boards. 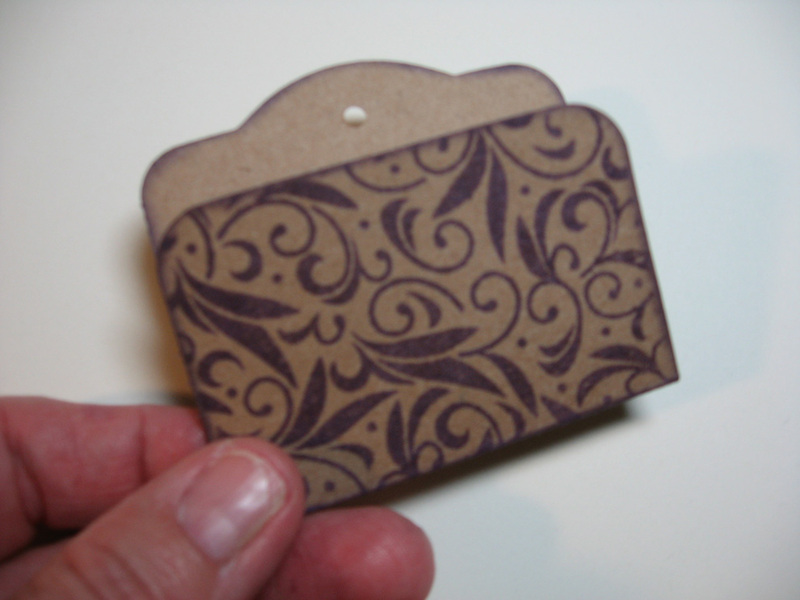 Looks like a little file folder. 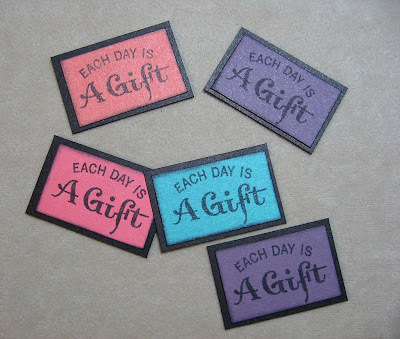 I stamped this sweet sentiment on little pieces of matching card stock and backed them with black card stock. Then I added some foam tape to the backs and adhered them to the tags. 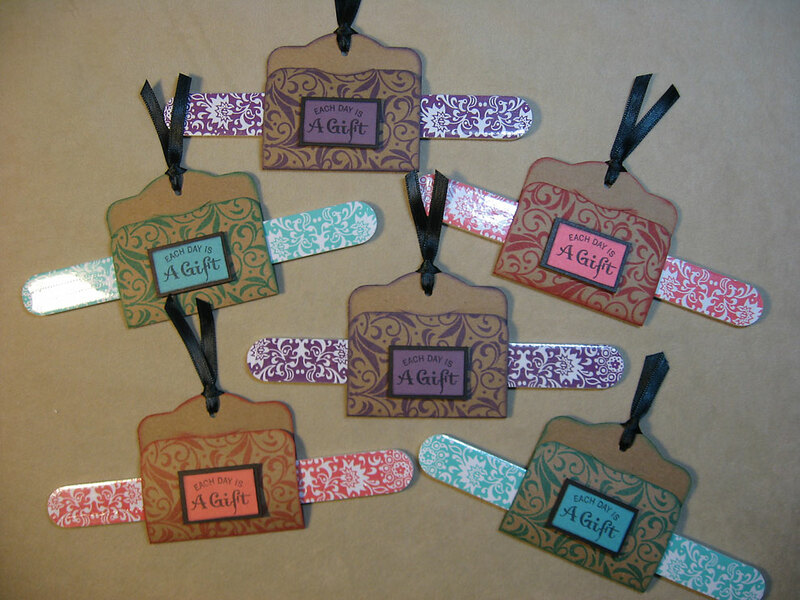 I added some satin black ribbon to each and slid the emery boards into their tags. Unfortunately, they slipped right out, so I added some adhesive to the boards to hold them in place. Another good reason they're wrapped in plastic. No adhesive will gunk up the emery board. 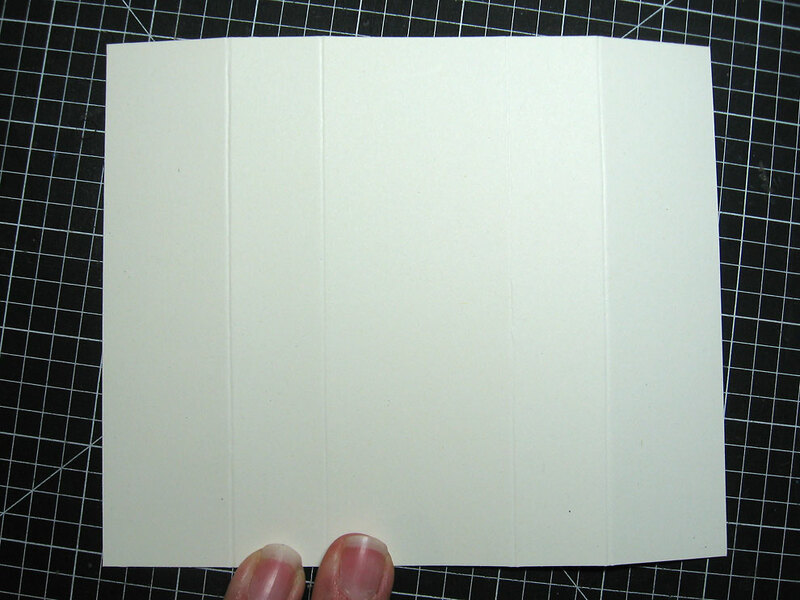 You can see how the flap tucks under that curved slit to hold it all together. 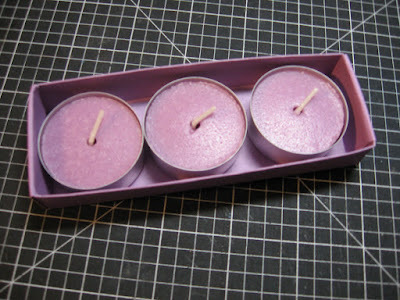 These were fun and fast to make and cost me less than 70 cents each. Thanks for stopping by. I hope you try something fun and frugal this weekend.